Considering how grotesquely it has been abused, it’s easy enough to forget that, in its original guise, the concept of a broadcasting "Cadena" has a solid basis in constitutional law. Broadcasting, by definition, involves using a publicly owned medium – the radio-electric spectrum – to transmit a signal. In principle, you need a license to use that public medium, because it doesn’t belong to you. And if the state is going to grant you license to use the public’s property, it’s well entitled to put conditions on its use…including the right – obnoxious though it might be – to seize back the frequency for itself and compel you, along with all other radio and TV stations, to broadcast its messages when it chooses. The situation is much different when it comes to pay TV delivered to subscribers via cable. The relationship between a cable company and its subscribers doesn’t involve the use of public property: I don’t need the state’s permission to run a wire between your house and mine, I don’t use the broadcast spectrum for that, and the programs I pipe into your home using it are not generally available to people who don’t choose to pay for them. Any communication I choose to run through that wire is private; conceptually no different from a private conversation. 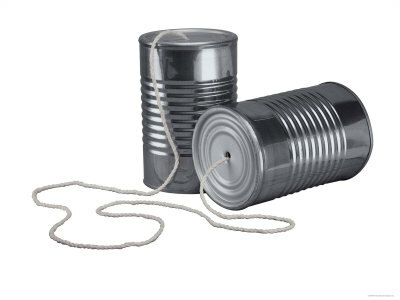 The state has no more right to force a cable station to carry a cadena than to compel two kids who’ve set up a tin-can phone between their windows sills to do so. Or to force you to relay cadenas on your building’s intercom system. The whole move is constitutional gobbledygook. Which, of course, didn’t prevent Chávez from doing it.